Last week, a Wisconsin Federal Court found the conditions of confinement at two juvenile youth facilities in Wisconsin, Lincoln Hills and Copper Lake Schools, to be unconstitutional. These facilities used punitive solitary confinement, pepper spray, and restraints on incarcerated youth. Western District Judge Peterson found these conditions violated the youths’ constitutional rights under the Fourteenth Amendment. 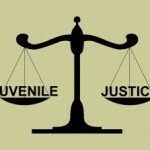 “‘The Court’s ruling today will protect youth from harmful, degrading, and unconstitutional practices,’ said Jessica Feierman, Associate Director of Juvenile Law Center. ‘Young people in Wisconsin – and across the country – deserve to be treated with dignity and respect, not locked up and deprived of exercise, recreation, social contact, and educational programming.’” Click here for more information. Tuesday, June 20 was World Refugee Day, a day to “commemorate the strength, courage, and perseverance of millions of refugees.” Read more here. “This [is] not about sharing a burden. It is about sharing a global responsibility, based not only [on] the broad idea of our common humanity but also on the very specific obligations of international law. The root problems are war and hatred, not people who flee; refugees are among the first victims of terrorism.”—UN Secretary-General, António Guterres. Click here for practical ways to show love and kindness to refugees and immigrants. Snapchat introduced a feature, Snap Map, that shares users’ locations and allows users to scroll around a map to find their friends. Read about it here. This new feature raises privacy concerns, especially for children and younger teens. Younger users may not be aware that their locations are being shared and do not know how to change the setting to private. The commands to enable the new feature are vague, and many users inadvertently turn it on. Then, they broadcast their locations to all of their Snapchat friends every time they open the app. Click here for more information on this privacy threat. Read here to learn about the concerns some police forces have about the new feature and about how to turn on “Ghost Mode,” which hides users’ locations.